Elaine Hancock (Olney, United States) on 12 December 2018 in Landscape & Rural. 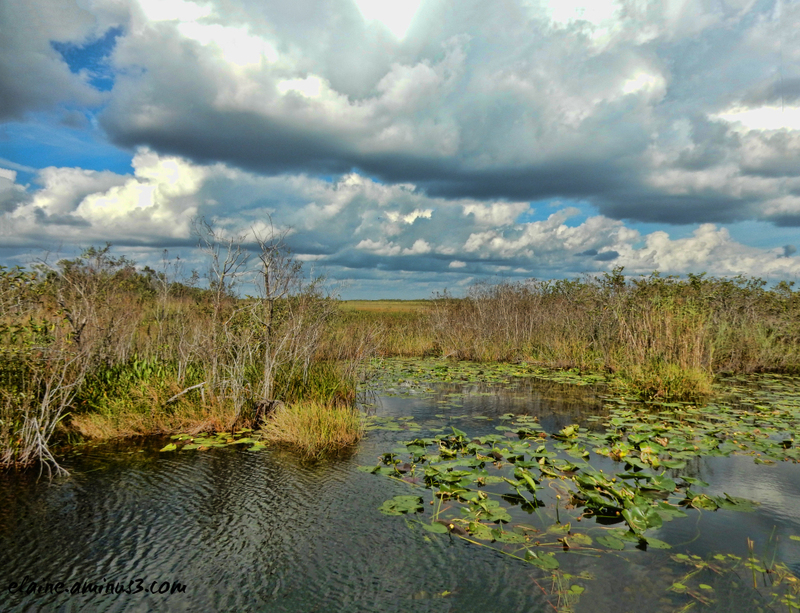 Another view of the Everglades. It is estimated that 1.2 million alligators inhabit the Everglades. Très bel endroit et un ciel magnifique. J'aime beaucoup ces zones humides ou faunes et flores y sont encore assez présents. Lovely water and I like the way you framed this. Un lieu ou il ne fait pas bon aller se baigner, mais ce gigantesque marais est magnifique. Quelques cris d'oiseaux, des sauts de grenouilles, le calme alentour au bord de l'étang aux jolis nénuphars. Very beautiful ! A superb composition. It is estimated that 1.2 million alligators inhabit the Everglades. Looks very peaceful, but I don't think I'd dangle my toes in that water. A nicely-layered composition with clouds that have great dimension! Lovely ripples on the water !!!!! A beautiful shot of this swamp/wetland. The clouds are quite lovely. Wow!! this is an outstanding picture. I like a lot. This image shows us how there could be so many alligators in there. I don't want to be in that water.